Maverick is a small uav made by Prioria, a company founded in 2003 by business and engineering graduates from the University of Florida. It is portable, very light and has most of the features a commercial uav of this class should have. Its most innovative part is the wing. Instead of a rigid wing it has a composite one-piece surface that is shaped like a very shallow half-cell.It is flexible only when force is applied in specific directions. It can bend easily and wrap around the fuselage when pushed downward (at storage) but become very strong when pushed upwards (during flight). 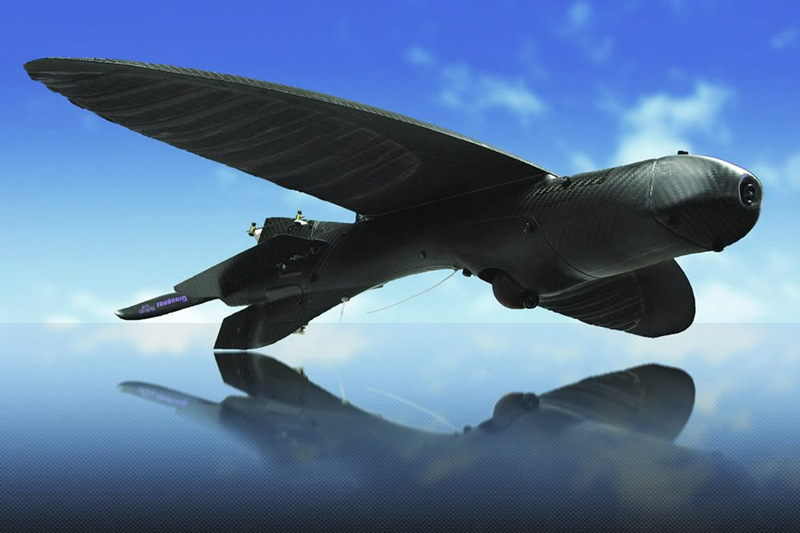 Its creators claim that it can also absorb wing gusts and improve stability. In the video above (viaDIYdrones) the demonstration is quite straightforward. Big commercial rockets (like Ariane) use a similar design for their payload fairing that can hold its shape and withstand the aerodynamic loads only when closed. Maverick has the disadvantage of not having wing control surfaces like ailerons and while stable it could experience weaving or roll, however it is equipped with a gimball camera and its footage is quite good for its size and role. More information and videos on Prioria’s website.